Bring the Whole Family! 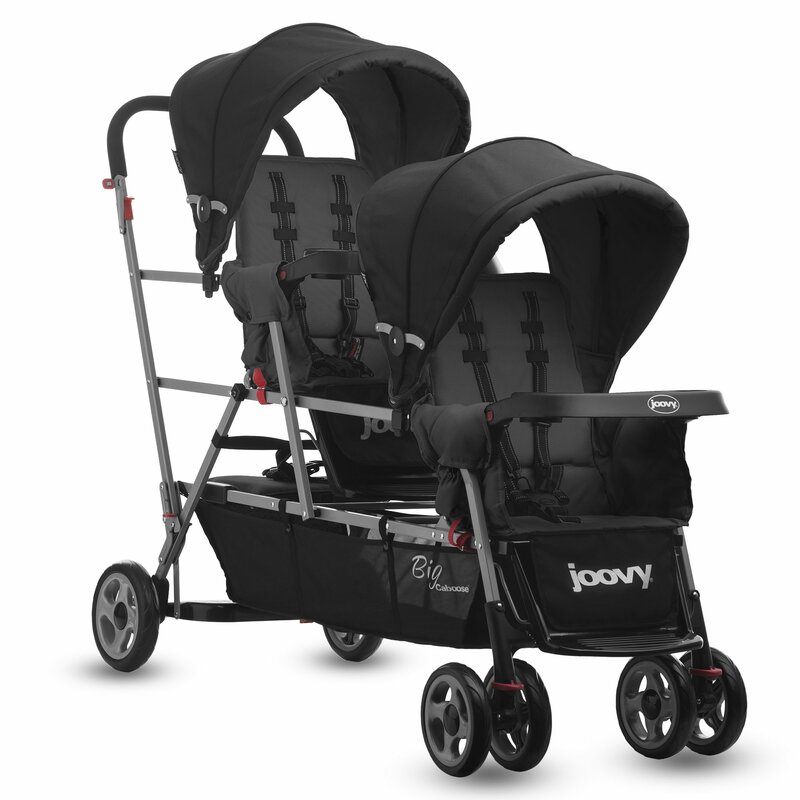 Families with three young children will love Joovys Big Caboose Stand-On Triple stroller – how else could one parent take three children out at once? The Big Caboose is easy to use and it includes two full size seats with canopies, two child trays and two foot rests – and your 3rd older child can ride on the patented rear platform. If you have multiple children, this will be the first stroller you will use that gives the child in the middle seat ample room. Canopies – Two removable canopies with deluxe rip stop nylon fabric and ratcheting adjustment.